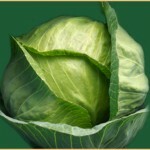 ...that edible therapeutic clay and fermented cabbage juice make a great combination. Explore the benefits of using a supreme natural and home-brew probiotic along with your choice clay supplement! Synopsis: Ruth tells her story about how drinking clay relieved a long-term sleeping pattern problem. Eytons' Earth comments about the homeostatic nature of healing clays, and how this can relate to different experiences for individuals based on the individual's state of health. 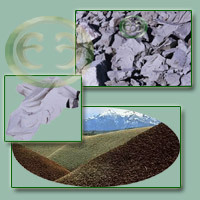 A guide is presented showing how clay can be used according to an individual's state of health. There were two things said to me that “got me thinking” and made me decide to try the clay on a challenge I had. I repeatedly heard Cano say, “The clay goes to the biggest need in your body.” And then I gave Cano’s book and some samples of clay to my friend, Jan Mason, and she later told me how the clay had calmed her and greatly reduced her severe PMS symptoms. Her story was very impressive. I have always had sleeping problems for as long as I can remember. I am guessing that it has been at least 25 years that sleeping has really been a problem, and I have taken sleeping pills since that time. I have tried every over the counter sleeping pill, and alternated between them so I wouldn’t get hooked on a certain one. But over the years I had narrowed it down to blue gel Unisoms, also the tiny light blue Unisom pill, and Benadryl. I also had taken pain pills for a long time to help me sleep, and had even taken Ambien. I liked Ambien at first, and then it began to make me feel like I was drunk every morning when I woke up. Once I was so dizzy tht I fell and hurt myself, so I stopped taking Ambien. I would skip nights taking the pills, so they would work more effectively when I went back to them. Those nights I would be awake until at least 3:00-4:00 am, or I would sleep a couple hours and then stay awake the rest of the night. Many days I had to cancel appointments, lunches and other things planned, as I did not trust myself to drive safely when I had so little sleep. When I did get to sleep, I slept until late morning or noon if it was possible. Otherwise, I was just tired all day. Having this sleeping pattern, I had very little normal day time and never wanted anyone to know how bad it was. This was my pattern since the 1980’s for sure. As I continued to think about what Cano said the clay did, and to think about what my friend Jan had told me, I came to the conclusion that if it calmed her mind, it could calm mine. My biggest issue with sleeping was that I could not shut my mind off. I tried all the suggestions I read about or heard about and they never worked for me, or only partly worked. I kept a CD player right by my bed and every evening I played sleep CD’s.- I bought everyone I could find online or in bookstores. They helped some, but never really did the trick. I drank warm milk, I read until I was sleepy, and then sometimes I still could not sleep. I made sure my bed was comfortable and perfect for me. Sometimes eating cereal and milk in wee hours of the morning worked, but not always. So I began drinking the clay, then going right to bed, shutting off the light, and seeing what would happen. I would not do this until I was truly sleepy and ready for bed. I started this in February and for the first two nights I did this, it worked! I was amazed. Then a lot of things were happening and going on in my mind, and I was afraid I wouldn’t sleep so I went back to the pills again. I was just afraid to trust it, and couldn’t believe it was really going to help me. On Sunday night February 18th, I started drinking the clay again at bedtime. For the next 12 nights I did this, and I slept wonderfully all 12 nights. At first, I only slept 5 hours but as time went on, my sleep time became longer. Then once again because of things on my mind that I did not believe would let the clay work, I got back on pills again. I did this about a week, but then the pills didn’t work either. So, I went back to the clay last week and now for almost a week, I have drank the clay water and slept like a baby. And the best part is that once again I dream! Taking the pills, I never dreamed. It is healthy to dream. I am now sleeping at least 7 hours each night, and I never wake up at all. Now I am waking up around 7:00-7:30 am, and suddenly I have more DAY TIME and I am getting more done and have more energy. The longer I take the clay, the more energy I have, because I am getting –finally-the rest that I need and getting it in a natural, safe and healing way. I know the clay works for me. I accept this and know I will now stay with the clay on a permanent basis. I like feeling good and having more energy. Yea! It is amazing how closely sleep patterns are associated with the body's digestion and elimination systems. When the body experiences a toxic burden, sleep is often disturbed. A chronic toxic burden, such as may be associated with prolonged use of drugs ( medically prescribed or otherwise ), can very easily lead to an apparent permanent sleep disorder. In some cases, such as the case with Ruth, clay can provide extremely rapid relief. Clay's action on the digestive system is by far more pronounced when clay is ingested on an empty stomach. This means that one ingests clay two hours after eating. For maximum effect, considering severe gastro-intestinal illness of any kind, clay can be ingested as often as two hours after each and every meal. However, while the clay will have passed through the stomach and mostly through the small intestine before the next meal reaches the small intestine, in some cases, the clay will begin to build up in the colon ( only because nearly everyone's colon is at least partially unhealthy ). In a healthy digestive system, consumed food should only stay in the body for a period of 12 to 24 hours. However, many people have a sluggish bowel. 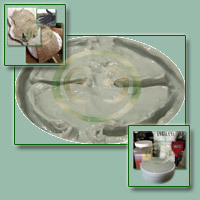 In effect, the clay is working overtime in the colon, and as it sorpts and adsorbs, moisture is first absorbed into the clay, and then-- as time passes in the colon-- the moisture is eliminated, causing the clay to become more and more dense, which may result in temporary constipation with those individuals who have sluggish bowels. If a colon is perfectly healthy, then no constipation will occur from clay use, no matter how much clay is consumed. Therefore, in cases where constipation occurs, different, individualized strategies must be utilized, based upon a case by case analysis. Swelling sodium bentonites ( requiring at least 3-5 parts water to one part clay to completely hydrate ) are more effective at colon cleansing than other types of edible clay. Because they are more effective, they are also more likely to externalize the symptom of constipation. Therefore, different types of clay may require different usage strategies, depending upon each individual. The three clay blend developed @ greenclays.com is an excellent product to use, as it harnesses the beneficial properties of a "high yield" sodium bentonite, combining it with a true healing grade therapeutic clay and then a pH neutral calcium bentonite river clay. It should also be noted that Gandhi, among others, have successfully used clay poultices over the lower abdominal area to relieve constipation. More complex colon cleansing programs often address-- and thus eliminate-- the concern of constipation. Combining clay with psyllium works very well for many people. For others, psyllium is not very well tolerated; a quality activated charcoal may be used in its place. Dr. Schultze's colon cleansing program, when done correctly, can reverse constipation issues and strengthen the bowel muscles. By utilizing herbs and clay, one can restore the bowel to fully funtional. Colon cleansing should be continually pursued until one eliminates once per day for every meal eaten. If basic colon cleansing strategies prove to be non-effective, then there are underlying health issues that need to be addressed. We recommend the program outlined by Dr. Joseph Brasco, M.D., and Jordan S. Rubin, N.M.D., known as the Guts and Glory Program ( "Restoring Your Digestive Health", Kensington Publishing Corp. ). http://www.lymephotos.com/printableprotocol.html - We recommend using natural sea salt products in place of sodium chloride. If one chooses to attempt this protocol, it is wise to start slowly. However, long term users of natural internal clays should be pleasantly surprised when none of the "grueling" symptoms described by sufferers of pathogenic parasitic infections occur. As an example, one may start with 1/4 tablespoonful of Vitamin C ( 1 - 1.5 grams ) and 1/4 tablespoonful of salt in 8 ounces of water, once daily. Then one may move up to twice, then three times daily. Starting the flush very slowly will allow individuals to hydrate the colon slowly and avoid diahhrea. One individual starts taking clay, and doesn't sleep for three days ( a temporary, self-correcting effect ). Another individual takes the same clay and experiences relief from a sleep disorder. A third person takes the clay and experiences no change with sleep patterns. Clay is a true homeostatic substance. Homeostasis is the property of an open system, especially living organisms, to regulate its internal environment to maintain a stable, constant condition, by means of multiple dynamic equilibrium adjustments, controlled by interrelated regulation mechanisms. The term was coined in 1932 by Walter Bradford Cannon from the Greek homoios (same, like, resembling) and stasis (to stand, posture). Homeostasis is the ability or tendency of an organism or cell to maintain internal equilibrium by adjusting its physiological processes. Clay, as a homeostatic substance, enduces changes in the body's physiological processes which ideally result in a normalization of metabolic function. This is why, for example, individuals with severe digestive disorders have learned by experience to take clay on an empty stomach to experience relief, while individuals with food intolerances have learned to take clay at the same time any meal is consumed in order to experience relief. Clay action with the human body is completely dependent upon the conditions present with the individual. While it can take years of experience to learn how clay works in this fashion, the good news is that use of a quality clay never causes any true harm. "In my experience I have found with me that taking the clay powder mixed with water gives almost no effect to stop my food allergies. I had drank sodium bentonite in water for a couple of weeks with no noticeable effect. One day I licked a small amount of the clay off the palm of my hand and within seconds to minutes my major allergy symptoms - heart irregularities included - were greatly reduced if not gone altogether. "A friend of mine had had a complete colon blockage and had to have emergency surgery. Months later she was still in a lot of pain much of the time. One day she was at my place when the pain really began. I offered her some clay powder (sodium bentonite, food grade) which she decided to try. A couple minutes later, after we had continued our previous conversation, she suddenly said, "it's gone". I asked what was gone and she responded that the pain was gone. Needless to say she began using clay on a regular basis. She, however, seemed to get even more relief for her digestive track problems by drinking clay dissolved in water even though for me it hadn't seemed to help much if any. "I usually tell people what I and others have experienced with clay but tell them also I don't know just how it might affect them. For me the sodium bentonite seems to be best but as others have mentioned different clays seem to have various effects on a variety of people." By reading personal accounts, clay use internally might begin to sound complicated. However, using clay is a matter of uncommon sense, and with experience, everything truly begins to make sense. One individual emphatically tells people, "Always take clay on an empty stomach. By empty stomach, I mean no less than two hours after eating." Another states, "Clay should always be taken with food. That's the only time it really works for me." Another states, "Never take clay with food, as it will interfere with the adsorption of nutrients." Below, I'm going to outline a general usage guide. It is by no means definative. One cannot hurt oneself by ingesting a quality clay. One can only adjust the usage to get the best possible benefit from its use. Individuals who have difficulties consuming foods, but have no other accute serious gastro-intestinal disturbances, should always consume clay with meals. Some individuals will find that drinking a little bit ( a few ounces ) of clay water will completely elleviate symptoms. Others ( like Olive ) may find that the body requires a more concentrated clay ( like taking clay powder straight, or consuming a few tablespoonfuls of dense clay gel or magma ). Private studies done by French Homeopaths, utilizing Kirlean photography, demonstrated that when concentrated clay is placed on the tongue or in the mouth, there is an immediate detox reaction that can be measured by using Kirlean photography on the feet. The studies were done by taking before and after images. If one accepts this as true scientific evidence, then it stands to reason that the body recognizes the ingestion of clay, and the body's metabolism and immune system start to respond instantly. It should be understood that intolerances cause abnormal and unnecessary reactions in the body. Food intolerances, as apposed to true medically diagnosed food allergies, can be corrected. But, one may ask, won't taking clay with food interfere with the adsorption of nutrients? Here I must pause, and apologize for the long-winded dialog. Above, I mention the homeostatic properties of clay. Some clay proponents place most-- if not all-- of their emphasis on the trace minerals found in clays and upon clay's physical properties, such as their ability to sorpt contaminants and cleanse the body. However, those with decades of clay experience all end up reaching the same ultimate realization: The clay's physical action upon and with the body is secondary. Clay's true power lies in its ability to act as a catalyst that causes changes in the body's functions. I encourage readers to view all of the documents in our bentonite clay minerals section, which includes documents that demonstrate how much clay would have to be consumed to interfere with nutrition, and several documents and studies that show the different actions of clay under different circumstances. Animals with cesnium poisoning lost weight when clay was added to their feed while healthy animals gained muscle mass and experienced improved growth when clay was added to their food supply. These are two completely opposite reactions based on the health and needs of the animals being treated. 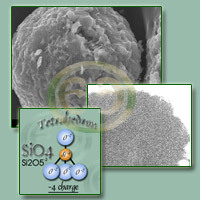 In both cases taking clay internally has been demonstrated to help the body achieve a state of healthy equilibrium. Generally speaking, clay use has been shown to improve nutrient uptake. While individuals with food intolerances ( problems with the stomach and small intestine ) find that clay should be taken with food, individuals with lower intestinal and toxicity difficulties have found that the exact opposite works. Clay should be taken two hours apart from a meal, when possible. As Jordan Rubin so wisely recommends in his landmark book "Restoring your Digestive Health", one can work up to taking clay in this manner as much as four times each day. I would go a step further and state, provided that constipation does not occur with clay use, one can take as much clay water or super-hydrated magma as necessary in this two hour window, until no diarrhea is present AND one's refuse has absolutely no smell. If constipation is an issue, please see our psyllium and bentonite detox cleanse document. If severe ulcerations or medically documented blockages exist in the colon, however, one would want to apply caution, and start off using clay water very conservatively. Some individuals have been very vocal in stating their belief that the use of clay internally has resulted in the colon being completely "gummed up" with clay use. Having independently researched clay use for 15 years, I would almost state that this is physically impossible. I state "almost" because it is barely in the realm of possibility that a clay could combine with an oil and, given enough time and under the wrong circumstances, putrefy. 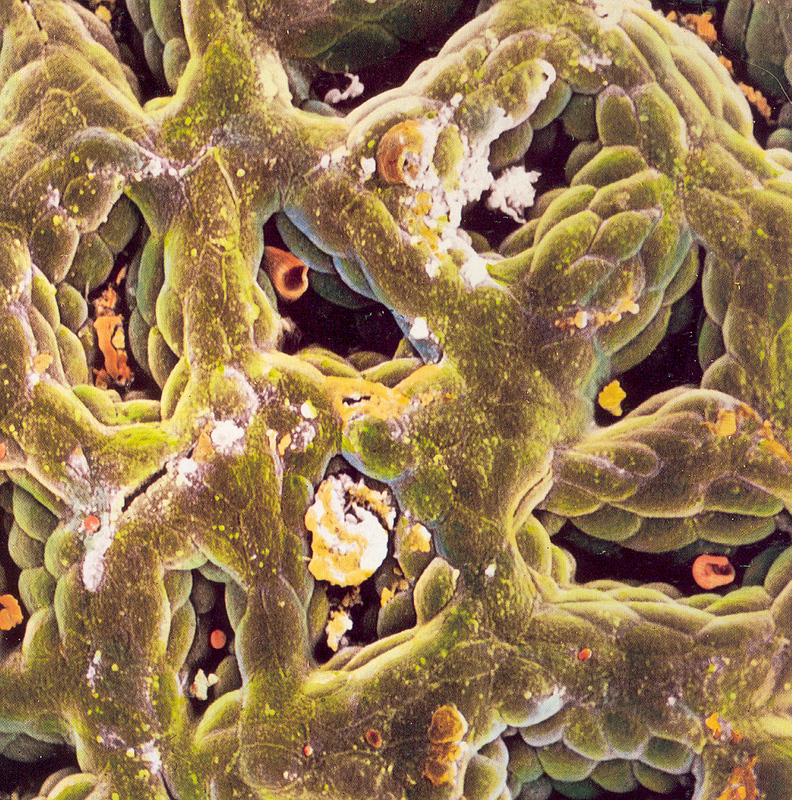 However, even if this were to occur, the cells on the colon wall are constantly dying and being replaced. Therefore, even if large amounts of clay were to somehow adhere to the wall of the colon, the tissue that the clay adhered to would all eventually slough off, and the clay would be eliminated. Luckily, a simply colonoscopy could be done in such a situation that would answer this question definatively. To date, a colonoscopy has NEVER shown that clay acts in such a manner. I suspect that what is occuring in these cases, is that the muscles of the colon, due to dietary habits and lack of excercise, have become increasingly weakened and sluggish. This always results in a sensation that feels like the large intestine is packed. In these types of situations, full colon cleanses and dietary modifications have been desingned to successfully restore bowel function. Individuals with constipation problems may also consider acquiring Homozon, an activated oxygen product. Or, in order to heal the bowels, individuals should strongly consider making fermented cabbage juice, and using a balanced herbal formula designed to strengthen and tone bowels, such as organic triphala . If the bowels are irritated and bloated, then one should also consider a high quality organic boswellia . Individuals who have experience using healing clays internally rarely have a need to worry about food poisoning or food contamination. Clay taken internally at the very onset of symptoms or awareness of the contamination has always-- in our experience-- provided a complete cure-- within reason! If one-- or one's pet-- displays symptoms of food poisoning or food contamination, then clay water should be given immediately. How much? As much as the body will tolerate. If vomiting ensues, re-administer clay over and over. If vomiting occurs-- especially before clay use-- obviously immediate medical attention is required. Continue to administer the clay while waiting for medical attention. In any case, one should always seek medical attention if one has been poisoned. The point I'd like to make is that clay can be used while waiting for an ambulance or while driving to the hospital. In cases of extreme contamination, where vomiting and/or severe diahhrea occur, it is important to realize that the body needs to be hydrated with balanced electrolytes. In severe cases, this must be done via IV. Clay mixed with water does not make the best rehydrating fluid in such situations. One may utilize a balanced electrolyte orally ( a product such as Pedialyte ) along with clay, if necessary. One should continue to administer clay at very regular intervals ( again, as much as the body can tolerate ) until the body's hunger response is restored. Recovery is dependant upon the level of contamination, and how quickly the clay is given from the time the contaminant has been ingested. Medical hospital staff can do a world of good in situations to support organs and keep the body functioning. However, it is important to realize that a medical staff cannot usually administer something into the body which literally removes toxic substances. In some cases, MD's can adminster drugs which nuetralize toxic compounds. In other cases, they cannot, so it is important that an individual or family member identify the toxin and do research on the allopathic treatments that are available. In many cases, the palliative care is very simply: Plug and pray. Our attitude is that the MDs should plug to their heart's content, but there is no practical reason-- barring unconsciousness-- that one cannot also "Plug and clay". I say this because there are far too many situations where the medical care being administered is simply titration with fluids via IV. The medical staff then just waits to see if the body recovers or dies. Rather than just waiting for the body's organs to shut down during the first precious hours of illness, one can adminster clay. Activated charcoal is often used in cases of poisoning. Clay and activated charcoal are very compatible and complimentary, as both are active colloids when hydrated. However, avoid the use of psyllium and other non soluble fiber in food poisoning cases. In other sections of our website, we share the time-honored natural medicine tradition of obstaining from the use of clays in cases where an individual is using life-sustaining prescription medications. While it is true that there has never been a report of ill effects caused by the internal use of clay interfering with the action of medications, we still must state that clay does not like synthetic drugs or manmade compounds that the body recognizes as foreign substances. However, more and more people are taking prescription drugs; many such individuals may still be able to benefit from the internal use of clay. Careful consideration and care should be used when an individual elects to use clay internally while also taking critical prescription medications. Preferably, the body should be monitored by an MD in such cases. Internal clay use, in such situations, should always be used according to a regular schedule. Take clay no less than two hours after taking a prescription medication ( ideally, three hours ). Check with the prescribing MD or look up the drug information on the web to determine the actual adsorption time and, where available, the metabolic action time frame ( the time it takes for a medication to metabolize ) of the drugs one is taking. Schedule your clay use accordingly. Generally, medications that need to be taken on an empty stomach adsorb quickly into the system. These same medications require that nothing else be taken orally for a specific time frame. Clay taken too early can result in the medication not being adsorbed into the body via the small intestine.